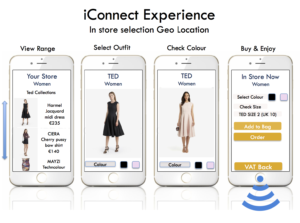 Can Geo-Fence and iBeacon Technology Enhance Customer Engagement for Retailers? So how does Geo-Fencing Work? Can iBeacons and Geo-Fences track or contact without permission? 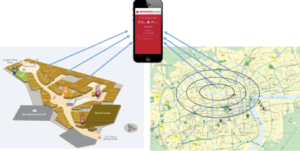 Where do iBeacons and Geo-Fences overlap? How far do iBeacons reach? What can these mobile technologies be used for? How can businesses put iBeacons to use? So where does the conflict arise? This article looks at the key issues that arise for Retailers with Geo Fencing and iBeacon Technology to highlight why these technologies are good or bad, and why, if you are truly passionate about value of the users experience, it is so important for you pay attention to this technology from the start. who will need to engage at a customer level? why collaboration is so important. In it’s simplest terms these are technologies that allow you to deliver the right message, at the right time, at exactly the right location to enhance the specific experience of the person receiving the message. You can manage thousands of iBeacons or geo fences to deliver contextually relevant brand engagement. Other information and analytics like linger rates, movement patterns, tracking rates or the true extent of loyalty programme interactions gives the Retailer detailed analytics and a more thorough understanding of the customer needs within your areas. iBeacons can communicate to an accuracy of inches or distances to of over 50 yards of a customer, whilst Geo Fencing reacts when an engaged customer comes within a radius of 100, 200 meters of an object or to whatever size radius you set. You decide and you set the parameters. They are location specific to help provide a better customer experience of a shop or service by interacting with consumers through a shop or a company’s app, customers already present in the store are made aware of, and can take advantage of advice, special offers and promotions available right there right now. They connect to a mobile device via blue tooth. Geo-Fencing is a virtual parameter that can be dynamically generated as a radius around a store or point location, or a geo-fence can be a predefined set of boundaries, like school zones, neighbourhood boundaries or city boundaries. Allowing you to send messages or alerts as people enter, leave or linger within a predefined area. They can (Eddystone format) but shouldn’t. iBeacons work with apps and all apps need permission to initiate any level of contact. In any event the Retailer or store chain want to enhance and encourage engagement not upset people. These mobile technologies are an opportunity to enhance the engagement experience of a new touch point, mobile. The technology is here to stay and will be part of a series of location technologies that will create a foundation for local and Retail services for proximity-based analytics marketing, and authentication. GPS operates at a macro range, iBeacons work at micro range, giving brands and services an opportunity to interact with customers not only at a local area level but also target narrowly in streets, corridors, shopping aisle or at a fixture level. In terms of range, iBeacons function in the gap between NFC (Near Field Communication, too narrow) and GPS (too broad) ranges, and this is what makes them more effective than the other two. iBeacons rely on the two-way communication between an app and a strategically placed iBeacon. They can also detect any mobile device that has Blue Tooth switched on but should not communicate with that device without the appropriate permission. However, this does create the opportunity to gather anonymous data on movement, lingering and directional flow. Therefore, Retailers can track the movement of all smartphones that have Blue Tooth switched on within the Geo-fence area. You will not know their personal details just that they were within the boundaries you set. This technology gives Retail brands and businesses an opportunity to build innovative proximity-aware apps. It’s the first proximity technology that is supported by all major mobile platforms. They are inexpensive, have a battery life of approximately two years and being low-energy, they don’t drain a user’s phone battery. Any number of services the following highlight a few. So at a high level iBeacons and Geo-Fencing technologies can be used to develop a whole new level of customer experience and engagement. The customer decision journey has changed. Today a larger percentage of a clients engagement with a Retailer, a Brand or a Store takes place online before you are aware the client is interested. In the battle for the minds of the buyers brands will rightly see Geo-Fencing and IBeacons as an opportunity to bring more personalised levels of engagement with mobiles in a way that can’t exist through a website. An opportunity to guide the customer decision journey within the actual proximity of the desired product. 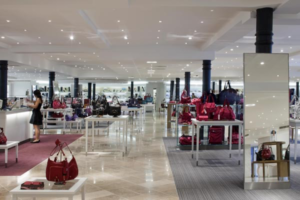 Who decides the proximity distance of the message, the store or the brand? Who decides the number of messages sent to each client? Who decides how many brands send out messages of engagement? Unchecked the customer could be bombarded by a whole range of messages in store, on the street or within the region, which is not time, or location appropriate. In a store scenario this would adversely affect the brand essence of the store and erode the customers overall shopping experience. Unchecked this could destroy the customer experience. So is collaboration is key for a successful experience? You bet it is. Ultimately Geo-Fencing and iBeacons are going to be a communication channel for Retailers. Retailers are not going to allow brands to have a separate dialogue with their shoppers in their stores and interfere with the shopping experience they seek to create. Retailers will have their own Geo-Fencing and iBeacon networks and brands will be given an opportunity to participate for a price. 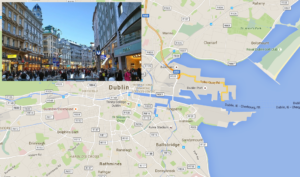 Retailers will have to consider taking the same stance with the shopping streetscape. In a Shopping Mall context this can becomes even more confusing. The conflict or successful solution will come in the form of collaborations between stores, brands, concessionaires and landlords. If this mix works it will enhance to the shopping experience to a whole new personalised level. If not people will switch off their phones in your stores, delete the app or, worse still, leave the store. As already mentioned Geo-fence and iBeacon messaging has to be opted into through an app, it is unrealistic to ask shoppers to access this messaging through multiple brands apps within a single store, rather than a single store app. And, it is just as unrealistic to think that Retailers will join together on a single app which allows for intelligence of their shoppers in their stores being shared with other Retailers. Therefore, Retailers should be thinking about what they can do to create added value and enhance the streetscape shopping experience. This is not just about delivering coupons. This should be a great opportunity for Retailers, stores and brands to sit down and offer new solutions to drive the Retailer’s business. Ultimately the differentiator will be the strategy and creativity of the messages and experiences delivered, not the technology itself.